Staff Sgt Christopher M. Falkel was born on September 24, 1982 in Massachusetts. 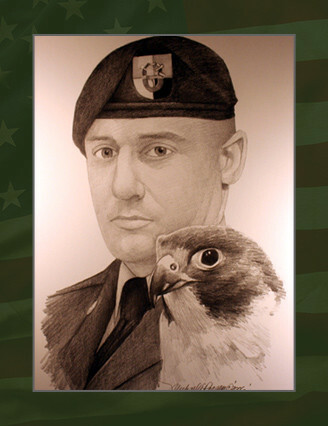 He was a Special Forces weapons sergeant assigned to 1st Battalion, 3rd Special Forces Group (Airborne) at Fort Bragg, N.C.
Falkel died during combat operations near Kandahar, Afghanistan Aug. 8, 2005, while he was deployed in support of Operation Enduring Freedom. He joined the Army in October 2001 as an infantryman with his ultimate goal being a Special Forces Soldier. He attended Basic Training, Advanced Individual Training and Basic Airborne Training at Fort Benning, Ga. In May 2002, he moved to Fort Bragg, N.C., and was assigned to the 1st Special Warfare Training Group, where he began training to become a Special Forces weapons sergeant. Falkel attended the Special Forces Arabic Language Course and the Special Forces Survival, Evasion, Resistance and Escape Course. He graduated from the Special Forces Qualification Course in June 2003. Upon graduation, Falkel was assigned to the 3rd SFG (A), Fort Bragg, N. C. While there, he attended multiple tactical courses to include the Special Operations Target Interdiction Course, the Special Forces Advanced Reconnaissance, Target Analysis and Exploitation Techniques Course. He deployed to Afghanistan in February 2004 and served there until July 2004. In June 2005, he deployed once again to Afghanistan with his team where he served until his death. His military awards and decorations include the Army Commendation Medal, the Army Good Conduct Medal, the National Defense Service Medal, the Global War on Terrorism Expeditionary Medal, the Global War on Terrorism Service Medal, the NCO Professional Development Ribbon, the Army Service Ribbon, the Combat Infantryman Badge, the Parachutist Badge and the Special Forces Tab. He was posthumously awarded the Silver Star, the Purple Heart, and the Meritorious Service Medal. His parents, Jeffery and Dianne Falkel, and brother, Tim, of Highlands Ranch, Colo., survive him.